Recent estimates indicate that from drug discovery through FDA approval, developing a new medicine takes, on average, at least 10 years at a cost of $3.4 billion1. Is there a way that innovation can help to reduce these soaring costs? During the past few years many companies are beginning to run trials differently – putting the patient at the center a.k.a. 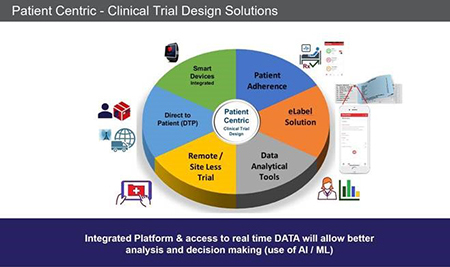 “Patient-Centric Trials.” Clinical trials must be designed with the patient in mind so the trial is meeting their needs. It becomes easier to recruit, monitor and keeps patients engaged. Here are six trends we believe are pushing the innovation envelope.